A study conducted by Dr. Sibthorpe on Gold Collagen RX showed very promising results on his case study patients. Rosie from SheerLuxe shares her experience. 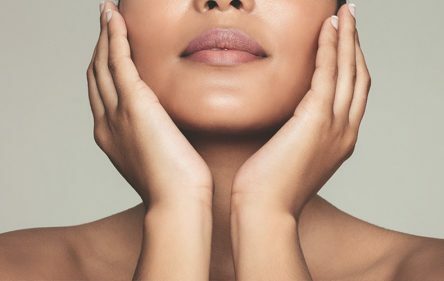 As for every beauty lover, and child of today’s culture of convenience, the idea that simply popping a pill or sipping a health shot would be enough to transform my skin is a seducing one. But, despite growing interest from consumers like myself, the Association of UK Dietitians (BDA) claims there’s “currently little credible evidence” to support that collagen supplements actually aid in skin health. There is, however, no disputing the importance of collagen itself. The most abundant protein in the human body, it serves as the building blocks for our skin bones and organs; cementing cells together and giving skin its structure and elasticity. And as collagen production declines as we age – around 1% per year from our mid-20s (I am now in a constant state of decay) before nosediving in our 40s and 50s (can’t wait) – the seven dwarfs of ageing skin come out to greet us: dryness, sagginess, dullness, decreased elasticity, loss of plumpness, fine lines and wrinkles. But the BDA state that “further and more comprehensive studies would need to be conducted to confirm the effectiveness of taking collagen in supplement form. So, when I was invited to take part in one myself, led by the innovators behind Gold Collagen, Minerva Research Labs, I was intrigued by the offer. I’d seen the brand before in Boots and on the beauty pages of countless magazines – as the first liquid collagen supplement to hit UK shelves, it’s garnered a lot of press over the years; scooping a whole host of awards. And, if you look at their clinical studies, it’s far from all hype: the original Pure Gold Collagen formula has been proven to increase skin hydration by up to 12% in three weeks; reduce the appearance of wrinkles by up to 27% in 6; and improve skin suppleness in 9. Before starting my liquid collagen course – a three-month supply of the brand’s latest product, Gold Collagen RX, which I was to drink daily each morning – I headed down to the lab to have my skin analysed. An assortment of various machines checked my collagen levels, skin tone hydration and elasticity, hair density and erythema (meaning redness of the skin). Fun fact: I’ve aged faster on the left side of my face as I always sleep on that side. I returned each month to repeat the process, but wasn’t shown any test results until the end of the trial. Although, by that point, I didn’t need numbers to tell me the supplement had made a difference – my skin, both on my face and body, was firmer and smoother; I had a noticeable glow (seriously, people commented on it); felt more energetic in the mornings; and, unexpectedly, could move more (something over a third of my fellow trial participants said they also experienced, which I later learned was due to collagen’s effect on joint health). Five of us took part in the study in total, and our average results after three months of daily RX shots were as followed: a 19.5% improvement in skin hydration; an 18% improvement in skin elasticity on the face, and 13.8% on the forearm; a 10% increase in hair density; a 7% reduction in redness; and a 13% improvement in skin tone. Out of the whole group, my facial skin elasticity increased the most (an improvement of 34%), as did my general skin tone (a 30% reduction in acne scars and pigmentation). So just what makes the RX formula so effective? Developed by doctors and nutritionists, each 50ml shot is packed with Gold Collagen’s patented complex of bioactive collagen peptides, alongside hydrolysed elastin; plumping hyaluronic acid and borage oil; and a host of vitamins, minerals and antioxidants (including vitamins C, E and B6; zinc, biotin, copper, lycopene and beta-carotene) to boost collagen absorption, and energy levels in the process. In terms of the collagen content, there’s 5,000mg per bottle – the equivalent of taking around ten standard-strength supplement pills. The collagen in all of Gold Collagen’s formula is devised from fish protein, meaning their products aren’t suitable for veggies or vegans, but there’s not a hint in the taste; which, actually, is slightly fruity and pleasant. My final verdict? Impressively effective (I was particularly and easy to take (I loathe swallowing huge supplement pills so much, I’ve ended up throwing countless expired bottles away). For those wanting to do everything possible to preserve their skin, this is something to add in the arsenal.